The intensive basic course will be over soon. So, let me talk about the topic which I'd like you to confirm once again. It is essential for us to have parents to be born to this world, right? There would be nobody to disagree with this, and let us think this way, our parents also had their own parents, and so on. Recently, I calculated with Kobayashi Sensei that the number of ancestors surpasses more than 65000, going back to a hundred or two hundreds years ago. If you want to trace back to the past more, the number would be astronomic, wouldn't it? If we think this way, the universal brotherhood makes sense. The story goes on further. Finally, your gene goes back to what is common to all human beings. What looks like expanding endlessly can put together again to one thing. Then, it reaches at the beginning of an elementary particle. Those who have good instincts may understand the conclusion already. As you know, everything, even only one fundamental particle and yourself who I started this story with, is sustained and formed by the same thing. The power of existence working on the background of this is the very fundamental power which cannot be mentioned in words and this is what we are targeting on. Here, it is called conveniently the fundamental power, but in fact, we don't have any proper words to express this existence. So, it has been called in various ways by various people on various standpoints from the past to the present. It can be religious in some points, and can be explained in the very latest scientific terms in another point of view. It can be called differently by different people, but it would be understandable that they express the same thing in different terms. Let us go back to the topic to the I Ching. How does the I Ching, the text written about the ultimate features of Yin-yang, express this fundamental source?? The answer is very ultimate, to explain by not explaining. In fact, all yang can be expressed by the horizontal line indicating the Tai-ji, so people dare to notice the existence of the fundamental yin, which cannot be expressed, through those visible. As you already know, yin-yang theory is not a mere dualism of yin and yang. It is not that two elements are combined to the one, but the one basic thing can be divided into two depending on your view. So, when yang is expressed, it definitely implies the existence of yin. The treatment we are saying is always targeting on this absolute yin. Even though you continue subdividing into yin and yang, it all ends up the same thing. This is very important point. We notice this because we study the I-Ching. In addition, it starts from the only one thing, as much as classifications increase, farther it recedes from the root. Additionally speaking, yin and yang can appear at any point when yin and yang were born and it continues again and again, so there is a big danger that you might misunderstand that where you stand is the only starting point. It is very important to see things from the basis all the time. In your daily clinical practice, you might tend to be aware only with phenomena, but the unchanging conviction is necessary. 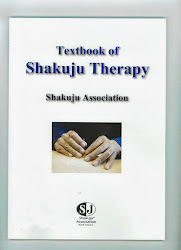 * This article is translated from Japanese Shakuju Association blog.